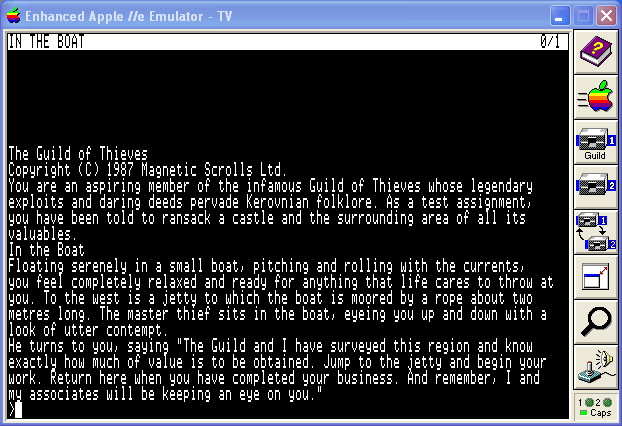 Like most other emulators, the Apple emulators uses images files containing the contents of the original game disks. 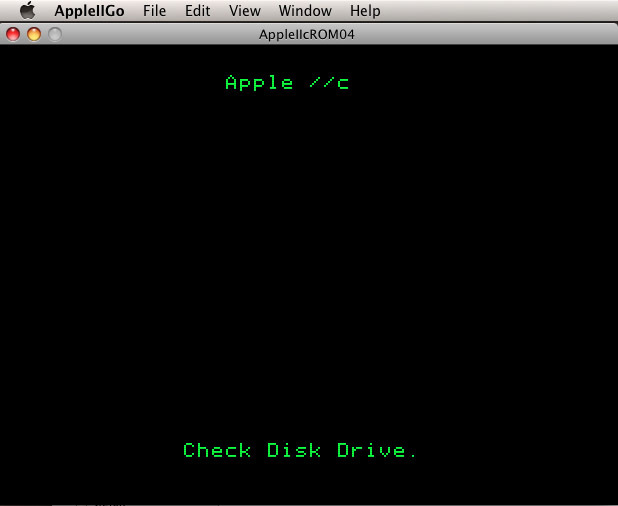 Actually you need the original Apple hardware to make the disk images, however there might be an even an option to read the disks without a real Apple. With the full version of disk2fdi and these modifications, perhaps you can read Apple2 disks with a normal 5,25" HD floppy drive. There are two common disk image formats: *.dsk and *.nib, where the *.nib files are especially used for games that had some kind of disk protection or used an uncommon disk format. 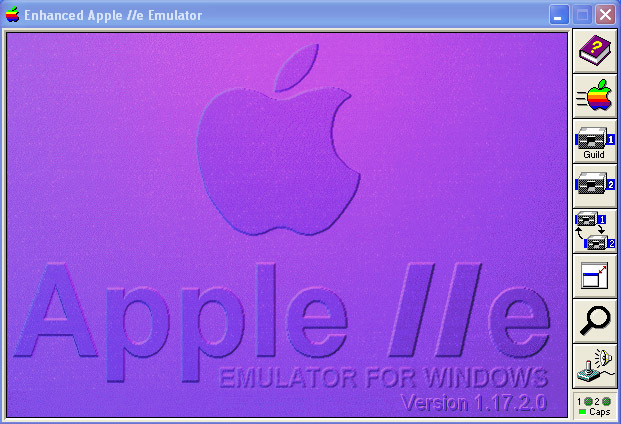 Ideally, an emulator should support both formats. The emulators that are featured here do have the rom files included. 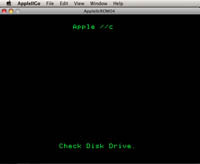 Probably the best and most versatile Apple II emulator for Windows is AppleWin by Tom Charlesworth. 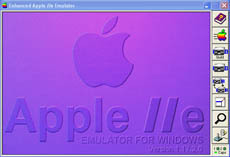 AppleWin was developed for Windows only, but a developer called "beom beotiger" has ported an older version of AppleWin to Linux and made it available here. 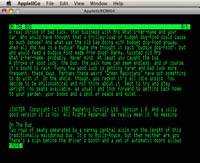 This might be a valuable option, because good Apple II emulators are quite rare on Linux. 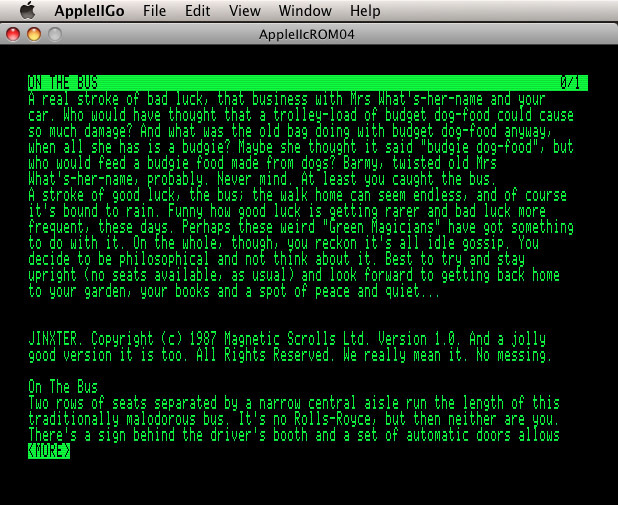 Probably the best Apple II emulator forOS X is VirtualII. VirtualII is shareware and costs between $19-$49. 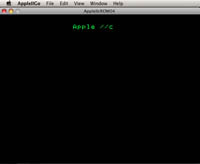 If you are regularily using an Apple II emulator, this one is your choice. 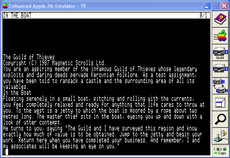 If you're only looking for a way to play the Magnetic Scrolls games and rarely use an emulator otherwise, there is a free alternative for you. Somewhat hidden finds a native MacOS X version of the AppleIIgo emulator, which is capable of reading both dsk and nib files. You can get AppleIIgo for MacOS X here (head to Downloads section despite the OpenEmulator notice).